One day (in a galaxy far,far away…) I might try this. Oh yeah, my cat has hi-jacked my computer again! I’d love to see what kind of book a cat might make. I am selfishly grateful it is not hot here. The descriptions all of you keep writing about the heat down there make my toes and hairs curl. Does not sound fun. At all. I honor and admire your precision with everything. Not so with me, I’m more of a seat-of-the-pants kind of gal. Hope to see you Saturday! 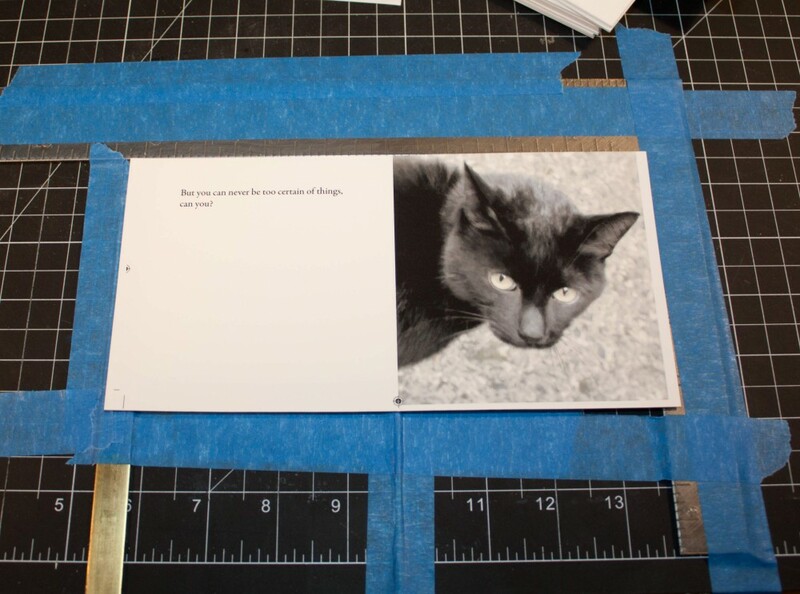 I vividly remember, years ago before I ever made a book, talking with a friend who was showing me a book she’d made. “I could never, ever do anything like that!” said I. “I could never do anything that precise that required measuring and lining things up like that.” Ha ha. You could’ve fooled me with your supposed lack of precision! Your books are so well crafted. I don’t always comment, but I watch what you’ve been up to on your blog. My mind still boggles that you haven’t been doing it all that long. Aren’t jigs great? When I take the time to set up a stable and secure jig, I feel so efficient and professional!! Unfortunately this is all too rare, but I’m making 15 copies of my BAO book-ee (do you still want to trade?) so I’m determined to set up properly this time. I also love your metal rule (half inch?) The atelier in Paris had a range of them and I am most covetous! Where did you buy yours Ellen? Woopsie! Seems I turned the bold on, but not off! I’m hopeless with HTML. By metal rule, do you mean the plain brass one or the L-square? (I think you meant the plain, straight one.) Both came from a hardware store. (Are they called ironmongers or something else in Australia?) 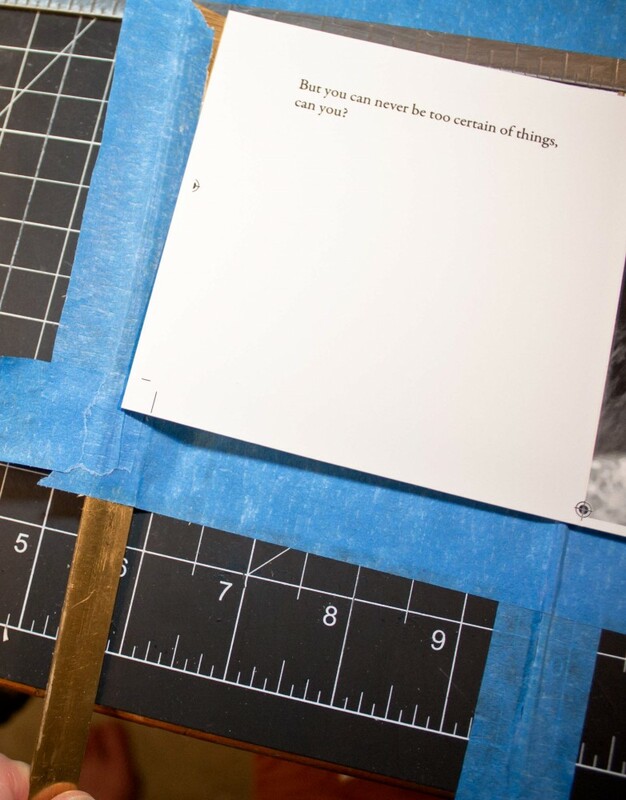 Some bookmaking supply places sell them, but here it was cheaper at the hardware store. There is usually a section tucked away in back somewhere with bits of metal for hobbyists (looks something like these displays. I have them in a range of sizes–and in the sizes I like and use the most, more than one of each. They’re very useful! 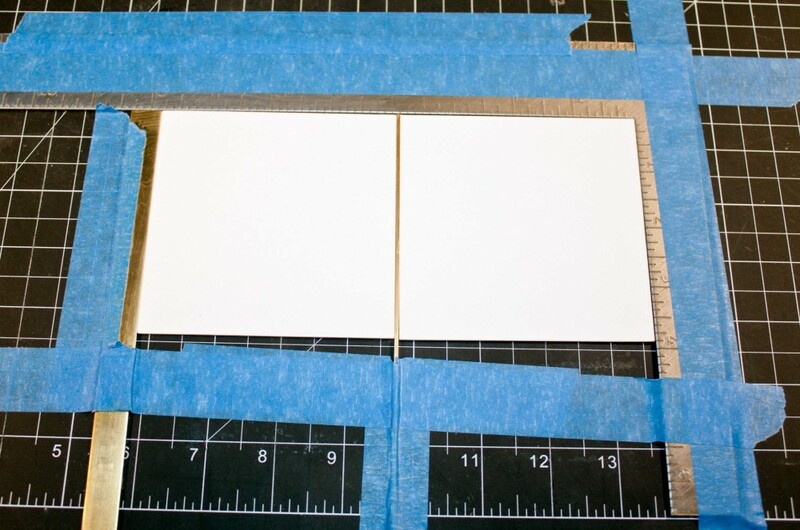 I especially like the 1/4″ size when making hardbound cases–it’s quite often just right for the hinge space. 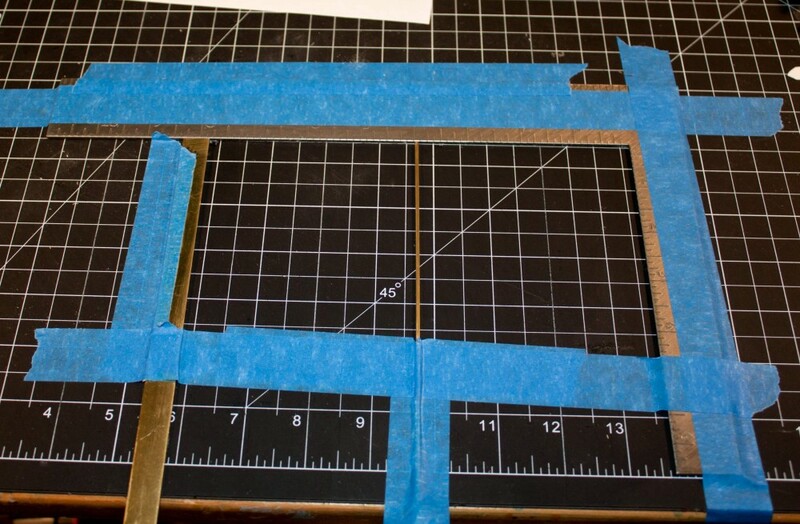 And I find the 3/4″ helpful for trimming the turn-ins on book cloth. I’m assuming there’s a close metric equivalent if you can’t get that. They are often called something like “metal stock” in the US. Hobby supply places also often sell them (model makers like them). I hope that helps? Don’t worry about not being finished with your edition yet – I’m not either, and as I travel around the interwebs I realize that a lot of us aren’t, so that makes me feel quite a bit better. Just happy :-) you want to trade. PS Have tried to fix the problem with the link on my name – so finger’s crossed. And I’m glad to see that, indeed, the link to your blog is once again actually going to your blog. How crummy that happened in the first place. I wish very bad hemorrhoids (among other things) to the scum responsible (not that I’m a vengeful person or anything like that). Talent and determination. I am not even sure which you have more of. But thank you. It is nice to know there are people out there with faith in me. I don’t even know what to make of what you are making; it looks very complicated, so I am duly impressed! There is an artist here whose medium is glitter. Entire large pictures done in glitter. Absolutely–the more incomprehensible writing about art is, the more important and intellectual it sounds! I’m imagining her in a dark room. Glowing eyes… and strange sparkles floating in the darkness….